"You can't hit what you can't detect." 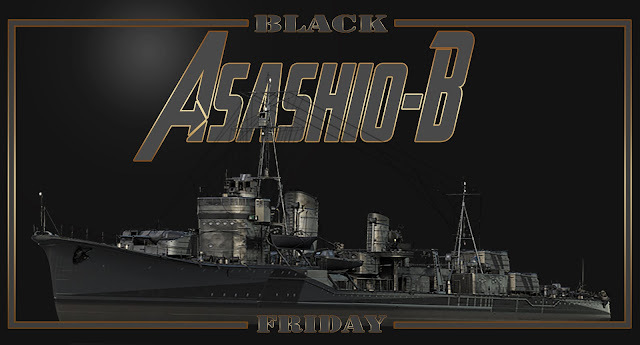 If you already have Asashio B in your Port, you will receive 6,510 doubloons as compensation. 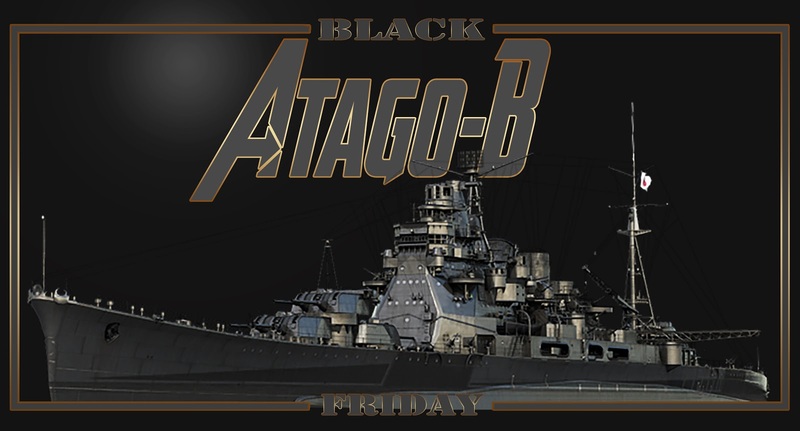 If you already have Atago B in your Port, you will receive 7,490 doubloons as compensation. 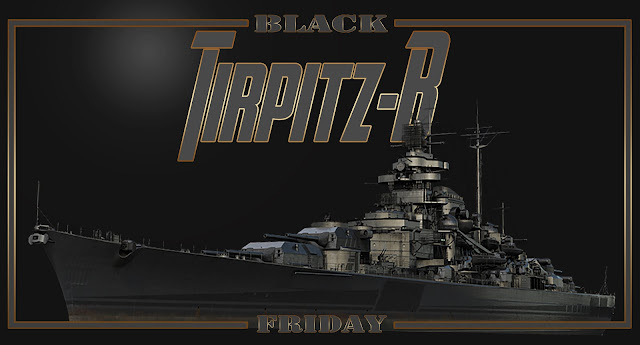 If you already have Tirpitz B in your Port, you will receive 8,750 doubloons as compensation. If you already have Massachusetts B in your Port, you will receive 8,925 doubloons as compensation. You can also get these ships in Standard and Premium Black Friday containers. 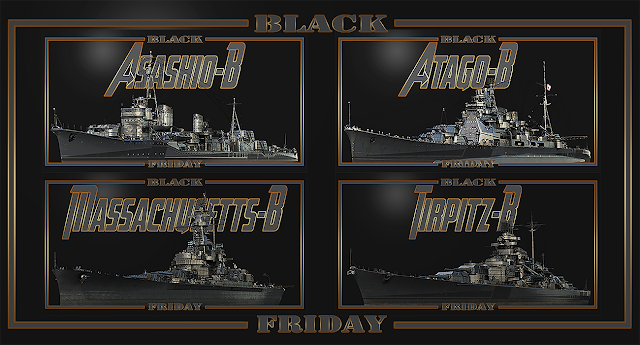 1.“Black” versions of Tirpitz, Atago, Asashio and Massachusetts are fully identical to the original premium ships both in terms of gameplay and economy. The only difference is that they have special black permanent camos, with the same bonuses that original permanent camos have. In other words, if you compare “Black” and original ships, the difference is only visual. 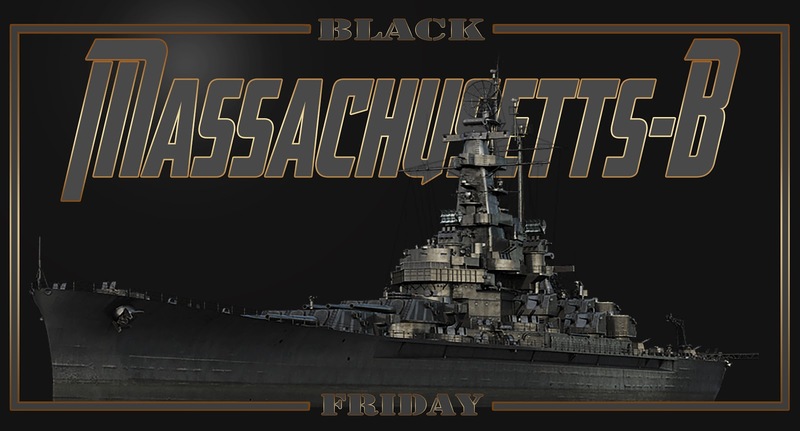 2.The stats for Black Friday camouflage refer to the consumable camo below, As you know, we regularly introduce thematic consumable camos, and this will be one of them, available within the Black Friday event. Please accept our apologies for not being clear enough about that. 3.Black Friday will come with various discounts, deals and in some cases, with significant bonuses for all kind of players. 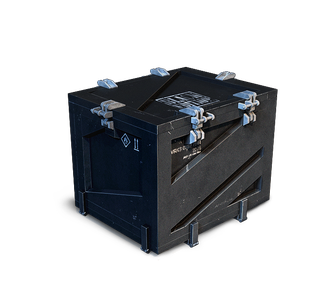 Our main goal is to give you a heads-up about the upcoming game content. 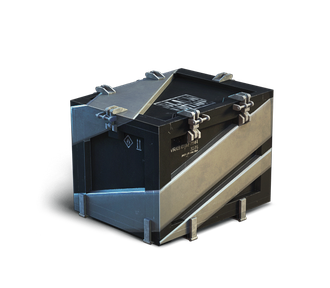 So, please follow the news on this website to learn all the details further on – the publication will come closer to the event and will undoubtedly show you the whole picture.